This theme contains three different slider variations for users to select what is best for their websites. You can use full width slider with some text on it along with read more button or you can have some text on the right side of each slide. You can also have static email subscription form on the right side of sliding images. Political Press WordPress Theme has very easy to understand theme options. 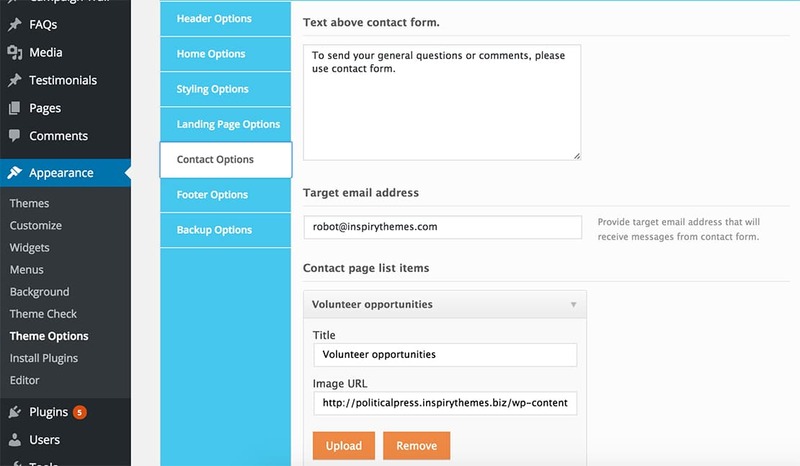 You can control many aspects of your site from these options. It has home page management, slider settings, landing page controls, contact page settings and many more. 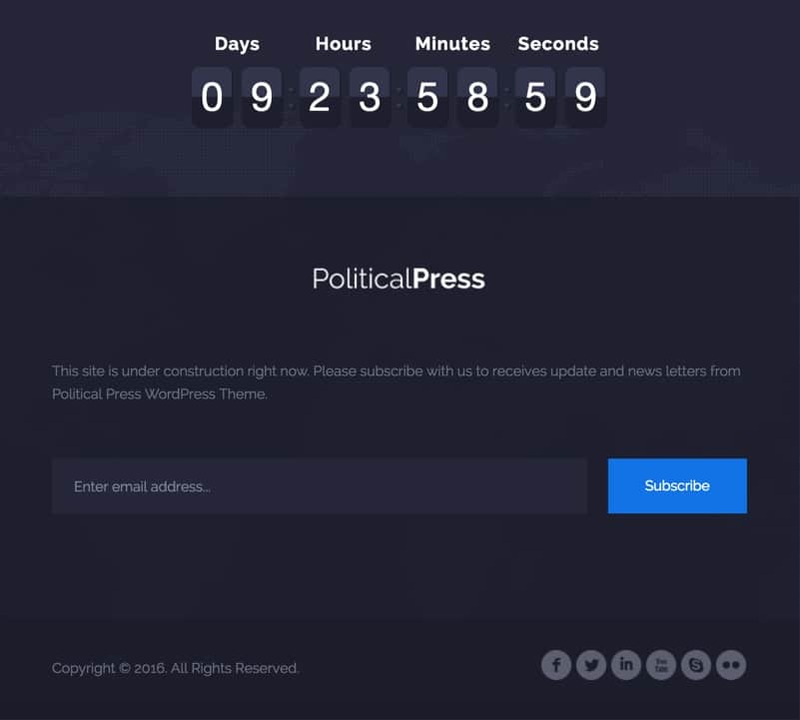 Political Press Theme has built in coming soon page with days counter. You do not have to install any extra plugin while waiting for your site to be ready. You can set remaining days from Theme Options according to given format. This theme has sortable gallery templates with easy to use gallery functionality. You can list your gallery items using any of two, three or four column templates. All templates are sortable using isotop jQuery plugin which make sorting animation a fun thing. To handle and display future events this theme supports The Events Calendar plugin. This plugin provides detailed events handling with many options so you can have your visitors good information about those events. 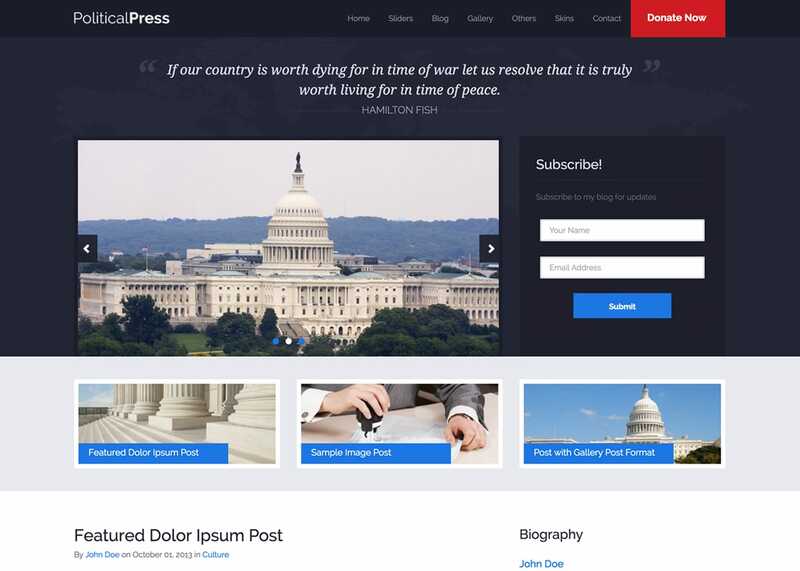 Political Press WordPress theme supports famous Contact Form 7 plugin which allow users to create detailed forms using full power of this plugin. 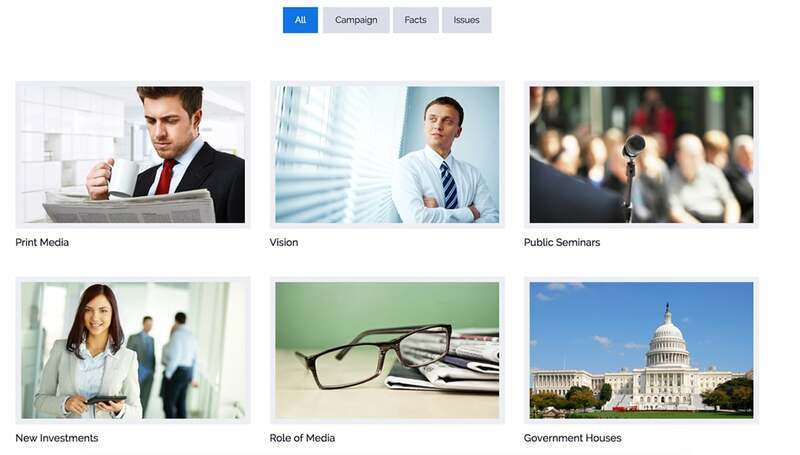 This theme provides campaign trail functionality. You can show your upcoming campaign events on site's home page in a beautiful way. 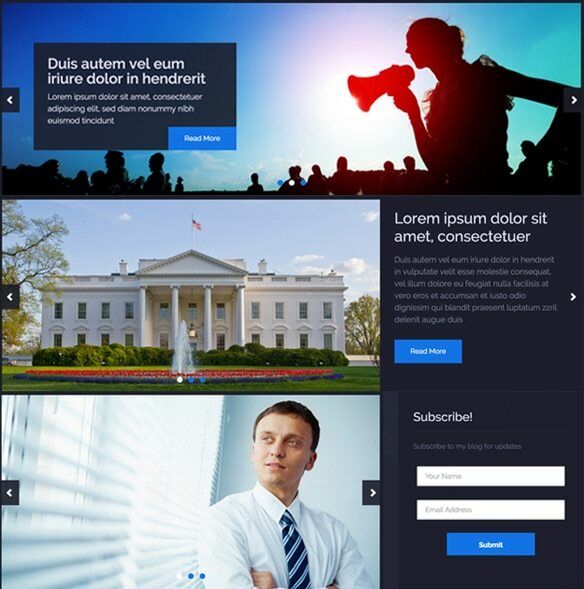 Political Press theme has easy to understand and meaningful theme options that will help you configure and modify things around your website more easily. Political Press theme provides responsive layout, So your website will look awesome on big screens as well as on tablets and smartphones. Theme's main package contains a ready to use child theme to make it easy for you to get started with modifications and keep updating the parent theme whenever the new update becomes available. A detailed documentation is also part of main package which provides help for almost every aspect of this theme. So, What are you waiting for? 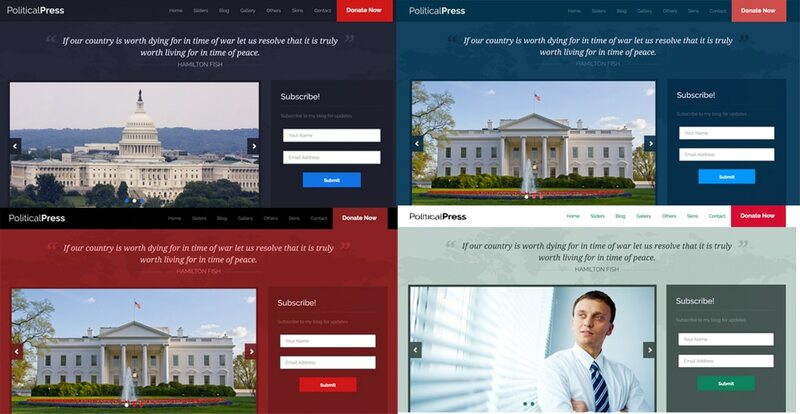 Install PoliticalPress and take your website to next level.